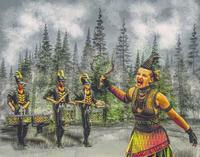 Carolina Crown is a World Class competitive junior drum and bugle corps based in Fort Mill, South Carolina. 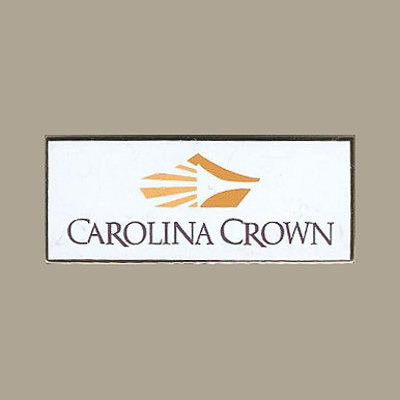 The name Carolina Crown acknowledges the corps' desire to represent the entire Carolinas region while recognizing the city of its birth, Charlotte, the Queen City, which has a crown in its logo. After nine winter camps, a month and a half of daily rehearsals, four exhibitions, two parades, and 13 shows, the 61 charter members of Carolina Crown completed their inaugural season at the 1990 Drum Corps International (DCI) World Championships in Buffalo, New York, placing 33rd in Open Class (later, Division I, now World Class) competition. 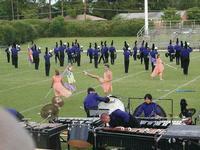 Crown traveled to performances in eight states, involving 6000 miles of travel. 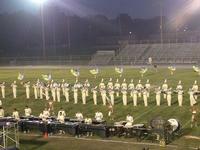 Regional performances included the DCE Regional Championship, DCI South, and DCI East. Several established corps such as the Cadets of Bergen County and the Spirit of Atlanta established "big brother" relationships with Crown, helping the corps throughout the season. The decision to base Carolina Crown's first show on "The Music Man" was intentional, as the musical tells the story of a man who comes to town to start a band. The spirited closer "76 Trombones" often got the audience clapping along. Crown's first year might be described as a small corps with a big heart. Everyone was a rookie. There was no past to remember, only the present to live in and the future to build. In 1991, Carolina Crown moved to Class A which was more appropriate for the corps' size and experience, although the corps did experience major growth both in numbers and proficiency that season. 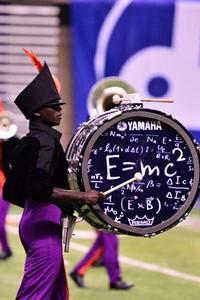 At DCI Finals in Dallas, Crown placed second in Class A competition, winning all captions except percussion. Crown then achieved another milestone later that week by gaining DCI member status with its 25th place finish in Open Class competition. In 1992, Crown placed third in the renamed Division II competition, once again taking honors in the brass, color guard, and drum major captions. 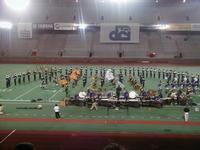 Crown also retained its DCI member status by placing 25th in Division I. After only four years on the field, Carolina Crown came of age in Jackson, Mississippi, as the corps captured the DCI Division II title. Performing its most complex show to date, Crown won high honors in brass, general effect, and (finally) percussion. The victory was made extra sweet when Crown moved up to a 21st place finish in Division I. Entering Carolina Crown's fifth year, the corps returned to Division I competition for the first time since 1990. New ground was broken when Crown achieved semifinal status with a 17th place finish at Semifinals in Boston. 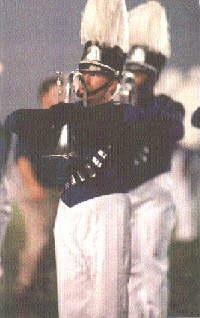 1995’s contemporary repertoire show entitled 'Stormworks' put Crown into the DCI Top 12 for the first time. Marching its largest corps to date, the 110 member group established itself as a DCI finalist by placing 11th on Finals night. 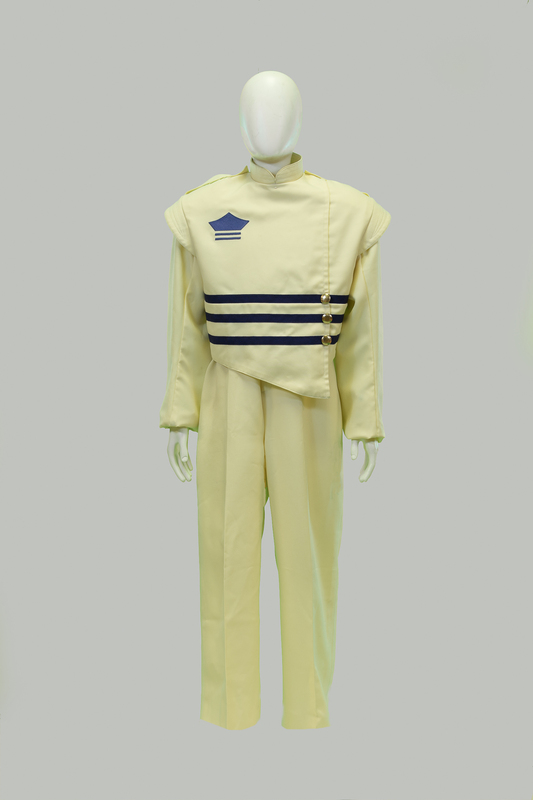 Crown marched 124 members in 1996, but no one in the audience could tell for the first two minutes of the program, as corps members darted in and out from behind moving chess pieces during an effort that placed Crown tenth at DCI Finals. 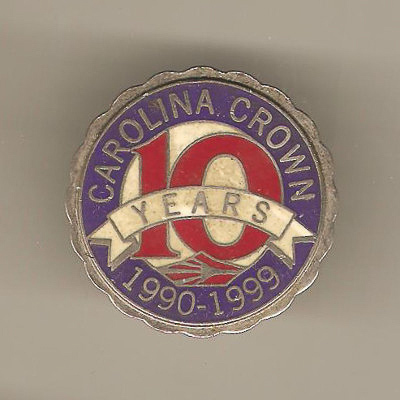 It was perhaps fitting for Carolina Crown to undertake a British theme for its last show as a Charlotte-based corps in 1997 (as the city was named for Queen Charlotte of Britain). "Postcards from Britain" contained many exposed sections and technical passages. 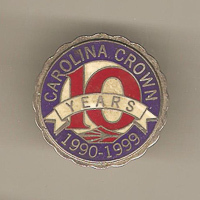 After relocating to Ft. Mill, South Carolina, Crown continued to turn out Top 12 shows until the full-sized, 128-member Crown finished 16th in 2002. 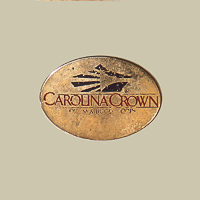 Crown rebounded smartly in 2003 to finish tenth in Finals with a show entitled 'Bell-issimo,' celebrating the sound of bells. 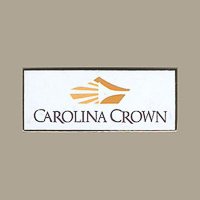 Also in 2003, corps members were allowed to earn college credit at University of North Carolina at Charlotte for a full summer's participation in Carolina Crown. 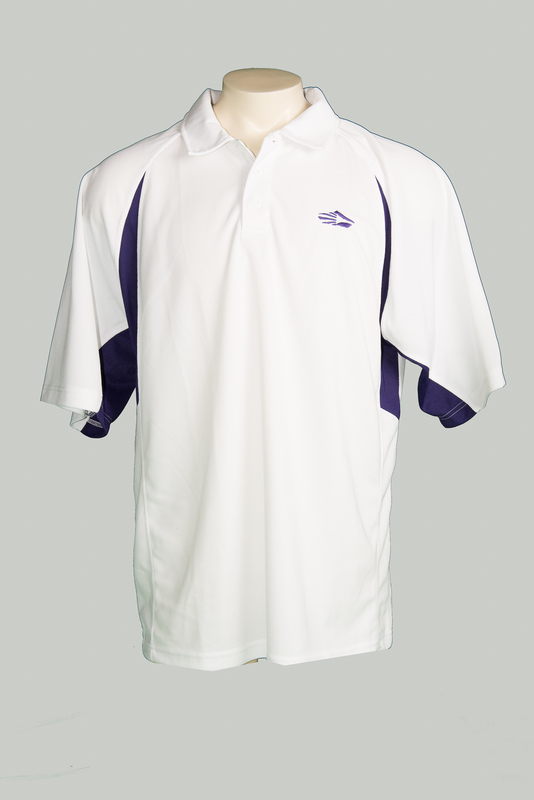 2004 was the year that amplification was authorized in drum corps competition, and Crown took full advantage. Their show was 'Bohemia,' and the book ranged from Puccini's "La Boheme" to Queen's "Bohemian Rhapsody." But it was "Seasons of Love" that captivated the crowd when a group of guard and brass players downed equipment and picked up mics to become Crown's first on-field vocal ensemble. Through 2017, Carolina has been a DCI Top 12 Finalist 22 of 23 years. 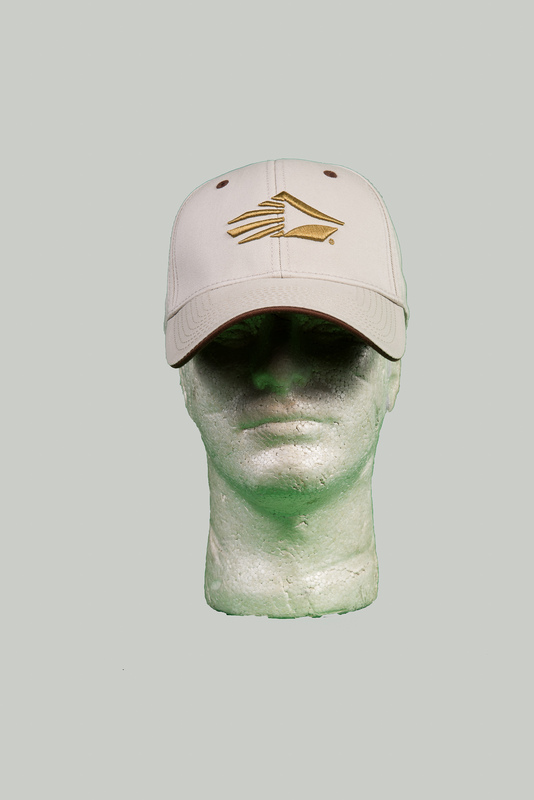 The corps has built a reputation for performing complex and sometimes startlingly original program while remaining a crowd-pleaser. The excellence of Crown's brass has reached a level that most other corps envy and fail to match. Carolina Crown achieved the pinnacle of success in 2013, winning the DCI World Class World Championship, becoming only the ninth corps to reach the top. 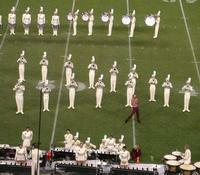 Crown also became the only corps to win DCI's top division after having also won a lower division. “Developing lifelong excellence in young people,” accomplished through performance opportunities and a commitment to education in the performing arts with core values of Integrity, Commitment, Respect and Excellence.continues to be the goal of Carolina Crown.